With warfare blazing through Scotland, the fate of the Comyn-MacDougall legacy depends on one woman. Recently orphaned, young Margaret Comyn must secure her clan's safety through an arranged marriage. But when an enemy invasion puts her at the mercy of the notorious Wolf of Lochaber, her every loyalty--and secret want--will be challenged. Legendary warrior Alexander "the Wolf" MacDonald rides with Robert Bruce to seize the throne of Scotland. But when he takes the fiery Lady Margaret prisoner, she quickly becomes far more than a valuable hostage. For the passion between them threatens to betray their families, their country...and their hearts. 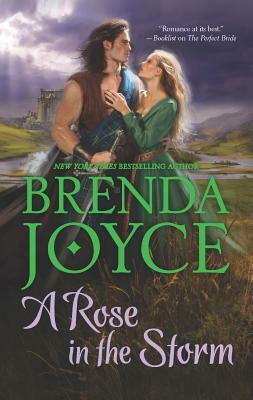 Brenda Joyce is a New York Times bestselling author of more than 50 novels and novellas, including the popular and critically acclaimed de Warenne Dynasty Saga, a series of novels set in Regency and Victorian England. She lives on a ranch in Arizona with her dogs, broodmares and the year s current crop of foals. If she isn t on the back of a reining horse, she can be found madly at work in her office, penning her latest romance novel."